Plan on 2009 U.S. Champion Jeremy Abbott being a contender beyond the Olympic season. During a teleconference Monday, Abbott announced that after the 2010 Olympic Winter Games in Vancouver, Canada, should he compete, he will return to training, likely for the for March’s World Championships, and next season. Competitors including 2009 World Champion Evan Lysacek, a two-time U.S. Champion, and three-time U.S. Champion Johnny Weir have not yet ruled out continuing his eligible career beyond the 2009-10 season. Other competitors for Abbott next season will likely include two-time World Junior Champion Adam Rippon and 2009 U.S. silver medalist Brandon Mroz, who formerly trained with Abbott. 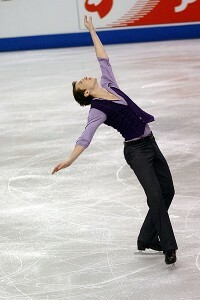 Abbott moved to Detroit following last year’s World Championships, where he placed 11th for the second consecutive year. He is coached at the Detroit Skating Club by 1994 World Champion Yuka Sato of Japan and her husband Jason Dungjen, a former U.S. Champion in pairs skating.